A custom email account on your own domain is useful for various purposes. By getting an own domain email name makes you not to disclose your personal mail and use the work email for disclosing. Email account on a custom domain is costly these days. Google Apps increased the price of their plan, which makes it impossible for custom email addresses. But, Microsoft Outlook is giving it away for free ! They will host the Email address for you free of cost. Only you have to do is, create a account on Microsoft Live. 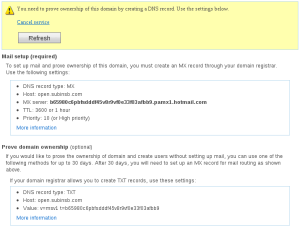 You will find the step by step instructions for setting up a custom email address on your domain. I will prove it to you by disclosing the email address set up on this domain : [email protected]. 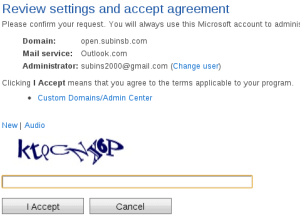 To get a E-Mail address like mine you should have a Microsoft Account. If you don’t have one yet, signup for it. 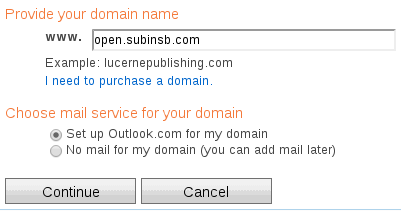 Type in the domain name and choose "Set up Outlook.com for my domain" option. Once filled, click Continue button. Make sure the details are correct. Then type in the captcha and click on "I Accept" button. If the captcha was correct, you will be redirected to your domain page. 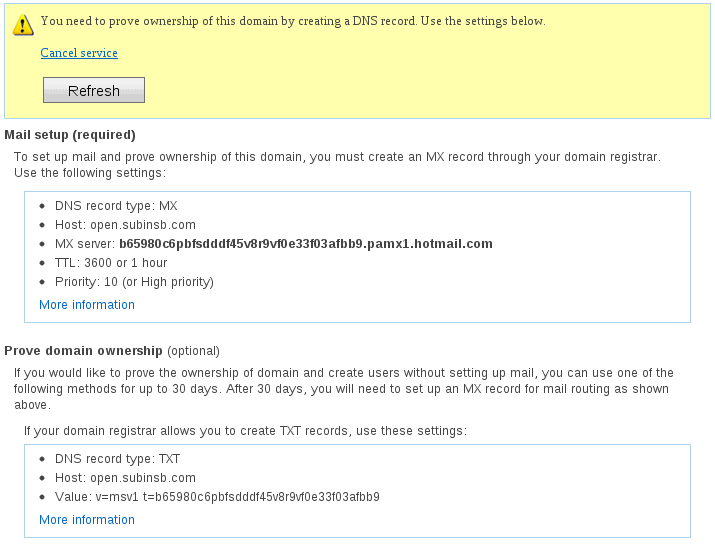 The domain page will ask you to add a MX record to your site. You should only add the first MX record shown. It’s not necessary to add all the other records. Remember to make the record priority at the highest number than other MX records. So, there you go, you own E-Mail address. 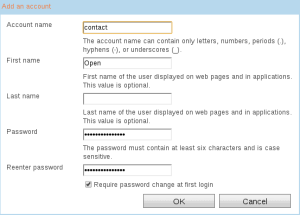 If you want to access your new account’s E-Mails, Log Out from the current user and login with the E-Mail address of your domain and with the password you typed in when you filled the form. 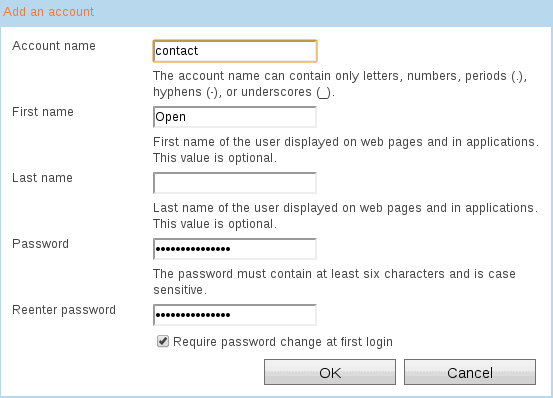 If you checked the "Password Change On First Login" while submitting the form, then you will be asked to change your password. Once that is done, you will be able to access your account. If you have any problems, or have a suggestion please comment it.